Think of it as a 'carbon conundrum': scientists pro and con on the promised potential - and the possible pitfalls - of soaking up CO2 and permanently sequestering it to help stave off the most dire global warming impacts. Picture this: the carbon-dioxide spewed from our stacks and tailpipes is converted to stone and stored underground. While no one forecasts it will become commonplace in the short term, a team of researchers has published promising results of a trial burial of the planet-warming gas. The international team in the summer of 2015 announced the results of their “CarbFix” experiment in Iceland. Two years earlier, they had injected 73 tons of carbon-dioxide-enriched gas from a geothermal power plant near Reykjavik into a basalt drift more than 1,000 feet underground. The gas, mixed with water, instantly started reacting with the volcanic deposit, coating veins of the porous rock with chalky solids. Most of the CO2-enriched gas converted to a durable mineral. For decades some scientists have predicted that industrial facilities someday will remove CO2 directly from the atmosphere, helping to put the brakes on global warming. The captured gas would be stored under the sea floor, sequestered in a rock deposit, or stashed someplace else, where it couldn’t escape back to the atmosphere. 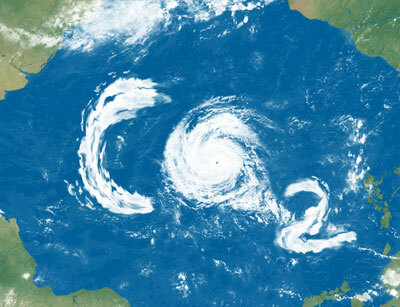 The CarbFix experiment represents an advance because CO2 locked up in solid form is unlikely to leak back into the air. Climate modelers and policy researchers sketching blueprints for keeping Earth from overheating incorporate the removal and sequestration of carbon, what they call negative emissions, into their plans. Most scenarios for how the world will avoid catastrophic climate change require negative emissions on the same scale as current positive emissions, reaching that goal well before the end of this century. But some scientists fear that negative emissions might not work as advertised, or might have serious side effects that limit their adoption. Technologies for both capture and for storage of carbon dioxide remain experimental, tested only in proportions far below what plans call for. The CarbFix project, for example, sequestered only about as much carbon as a typical U.S. family produces in a year. Contrast that with typical scenarios for combating global warming, requiring annual negative emissions many hundred million times bigger – billions of tons per year – within the next few decades. Kevin Anderson, deputy director of the Tyndall Centre for Climate Change Research in England, fears that if carbon capture and storage doesn’t live up to its promise, Earth could warm steeply. Gambling that negative emissions will be available when they’re needed is “incredibly dangerous,” he says, because the world might not invest sufficiently in more plausible bets, such as renewable energy and conservation. Anderson says that if, after counting on them, the benefits of negative emissions don’t materialize, the planet could fail to achieve the goal of the 2015 Paris Agreement, which would limit global temperatures by 2100 to no more than 3.6 degrees F (2 degrees C) above the preindustrial level. Proponents of negative emissions counter that a bigger risk would be to rely solely on mitigation, and then discover too late that it doesn’t do the job. “I do not think we can stop emissions in time to avoid harmful warming,” cautions Klaus Lackner, director of the Center for Negative Carbon Emissions at Arizona State University. Climate researchers agree that keeping Earth safe will require a combination of massive deployment of renewable energy production, such as solar and wind power and widespread adoption of energy conservation, such as more efficient home heating and transportation systems. They’re less unified about whether a commitment to negative emissions should also be part of the overall approach. Until humans started burning fossil fuels, in the mid-1800s, the amount of the gas added to the air (for instance that from volcanos) roughly balanced the amount subtracted (that dissolved into ocean water). So, the tub’s level remained nearly constant for thousands of years. Earth’s temperature, which closely tracks the concentration of CO2, barely budged. But CO2 additions have far outpaced subtractions for more than 150 years, and now the tub is perilously close to overflowing. The concentration of CO2 in the atmosphere rose to above 0.040 percent (400 parts per million) in 2015, much higher than at any time since civilization began; higher, in fact, than since the Pliocene epoch, several million years ago. Climate scientists believe that a concentration of roughly 0.045 percent (450 ppm) could raise Earth to the 2-degree C point. The critical limit could be a little higher or lower; some say we might already have arrived at a dangerous level. Regardless, researchers estimate that humans can spew 600-1,200 billion more tons of COs into the air before we reach a concentration of 450 ppm, according to a 2016 report in Nature Climate Change. The atmospheric tub will then likely be full. What if ‘we keep emitting like we do’? That 600-1,200 billion tons might sound like a lot, but humans’ appetite for energy creates a prodigious 40 billion tons of CO2 annually – and this figure grows every year. “If we keep on emitting like we do, we’ll be at 450 ppm in 20 years,” says Lackner. Even taking into account carbon dioxide emission pledges made by countries in Paris – which at best only level-off carbon dioxide production – we’ll arrive at 450 ppm by 2050 (see The Truth About Climate Change). The ways to keep the atmospheric CO2 tub from filling up are the same one would use to avoid a bathroom flood: close the taps and open the drain. Either way, the cost will be astronomical, given the huge and increasing global desire for energy, and meeting that goal will require technological advances. The former will involve the building of countless solar and wind power plants, moderating energy consumption, and electrifying transportation. The latter will involve building a huge carbon removal and storage industry from scratch. The one certainty is that we must act, says Lackner, who compares the situation to that of a racecar driver’s approaching a curve at breakneck speed. “Whether we hit the guardrail or not is by now a foregone conclusion. The question that remains is whether we will roll over.” He points out that if levels are still growing when we hit 450 ppm, no amount of mitigation will be sufficient: we’ll need negative emissions. In 2015, a committee of the National Academy of Science issued a report on negative emissions (which it referred to as carbon dioxide removal, or CDR). The researchers in that study considered numerous ideas for soaking up and storing carbon. They pointed out that even when deployed at industrial scale, CO2 removal works slowly. So, to be helpful, it noted, negative emissions must be introduced way before the CO2 concentrations become dangerous. One form of negative emissions, replanting degraded forests, is already in use. Trees convert CO2 into wood. Individual trees have finite lifespans, but living forests can store carbon forever in continuously regenerating stock. However, the storage potential of new forests is far below what might be needed given competition for space from farming and other uses. Moreover, carbon stored there could be released any time by a change in forest protection policies, or if a drought or insect infestation strikes. One capture and storage method is commonly mentioned as being ready within a few decades: bioenergy with carbon capture and storage (BECCS), which would also take advantage of the ability of plants – such as fast-growing trees and energy-rich grasses – to soak up CO2 from the air. The harvested organic matter would be burned in power plants, where CO2 exhaust would be trapped and pumped into underground repositories such as Iceland’s basalt or into depleted oil wells. BECCS is too expensive to be economical today. Prices might drop, but for now, at least, windmills and solar farms can cut back CO2 more economically. Moreover, BECCS alone would require too much space to remove CO2 on the magnitude necessary. The NAS committee estimated that three-fourths of all the world’s arable land – about a billion acres – would be needed to produce the scale of negative emissions that some scenarios call for later this century. Hopes, doubts voiced … but also inevitability? Kevin Anderson of the Tyndall Center says that the cost and technical uncertainties of these and other negative emissions ideas make them a dubious life saver for the planet. Nevertheless, he says, a widespread belief that negative emissions will be helpful “is already changing the framing of mitigation policy today.” Lack of expeditious progress cutting carbon, he fears, will increase the demand for negative emissions later.